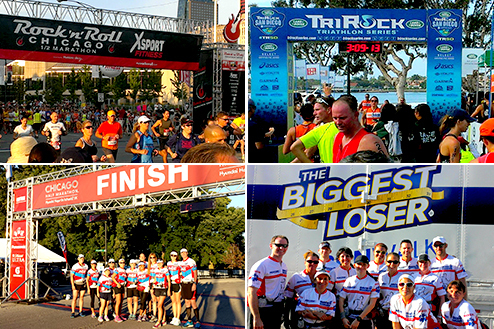 Ensuring participants and race directors a safe and rewarding racing experience. START TO FINISH. ALWAYS ON CALL. As athletes, each and every time we set out on the course the rest of the world seems to melt away. Feeling the road under our soles and achieving that deeper sense of being gives the feeling of true freedom that brings us back time after time. Race Guards™ is comprised of such athletes who have a desire to provide support at running, cycling, triathlon and endurance events of any size and distance. Our incredible team of CPR certified first-responder volunteers ensure that participants have a safe and rewarding experience from start to finish. Race For Good, come join our team! Check out our story on KUSI News! 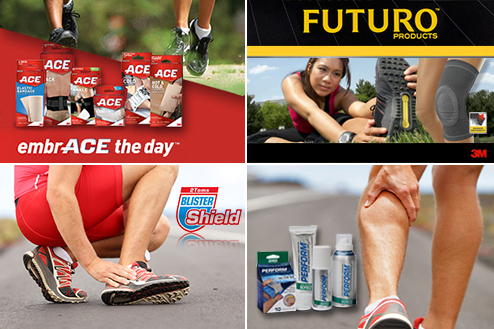 In partnership with ACE™ Brand, Nexcare™ Products and Futuro™ Products. Race For Good. Volunteer Today! We are always looking for new Race Guards team members who have a passion for giving back and ideally have medical field experience. Be Seen Every Step Of The Way! We are grateful to the many corporations and non-profit community partners who support us through their investments in Race Guards. Race Guards At Your Next Event. Race Guards bring an extra level of medical support to every race with our certified team of volunteers out on the course. We need your support! Race Guards is a volunteer based organization. Your donation will help to bring Race Guards to more races and cities in 2017!